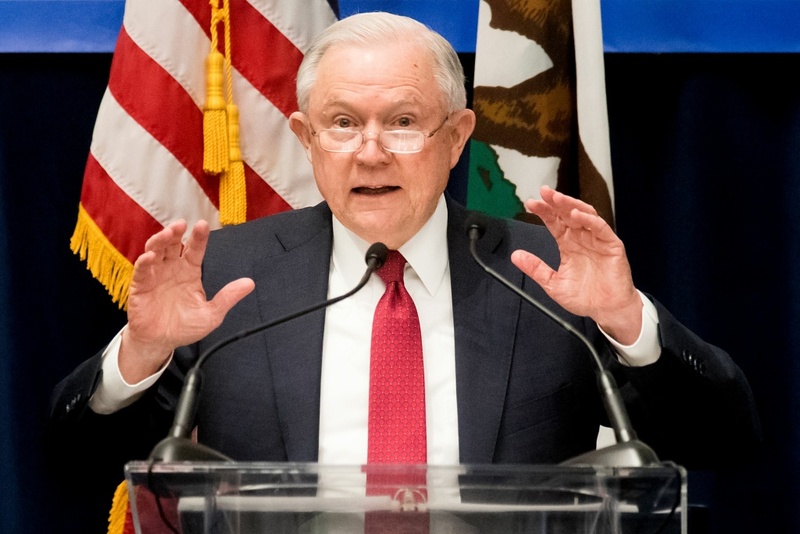 U.S. Attorney General Jeff Sessions addresses members of the California Peace Officers Association on Wednesday, March 7, 2018, in Sacramento, California. The Justice Department filed a lawsuit against California in Sacramento on Monday to block a state law that limits transfers of federal lands. The suit alleges that California’s law violates the constitution because it interferes with Congress’ rights to control the sale of federal property and that it should be blocked. California Legislature adopted the law at the urging of environmentalists concerned that the federal government may sell off federal land for real estate development, mining or drilling.